Writer, actor and producer Kerry Wallum, grew up riding bulls and roping calves in the rodeo until he was bitten by the acting bug. With more than 60 films under his belt, he has acted and been a stuntman in some of the great movies including The Yearling (writers Majorie Kinnan Rawlings and Joe Wiesenfeld and director Rod Hardy), The Postman(writers David Brin, Eric Roth and Brian Helgeland and director Kevin Costner), and The Crow (writers James O’Barr, David J. Schow and John Shirley and director Alex Proyas). 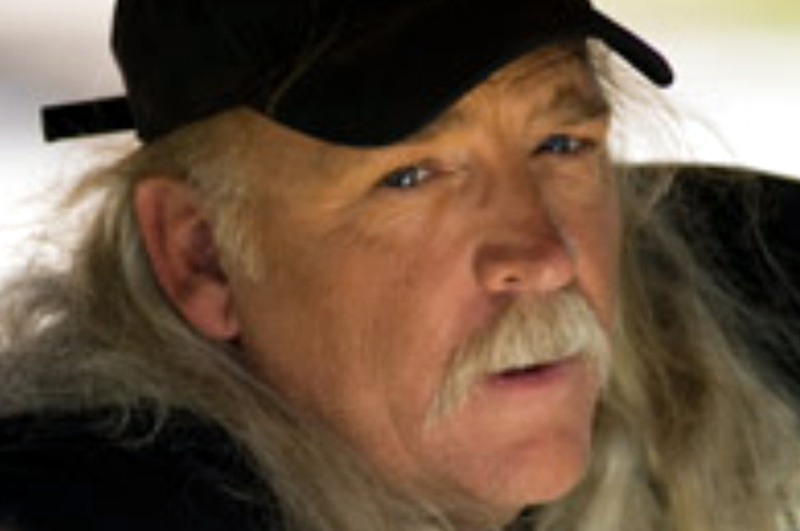 His current ventures includes a collaboration with Willie Nelson in building the film production franchise Luck Films. He has also completed filming his latest projects Of God and Kings (writers Eleonora Maria Volpe and Alex Whitmer and director Joe Estevez), Hot Bath an’ a Stiff Drink 2 (writers Ryan Gaudet and Joseph Kanarek, and writer/director Matthew Gratzner), A Turn in the Sun (writers Rich Bryant, John Sherman Hicks, Abilgail McKay, John Douglas Rainey and Kyle Warren and writer/director David Von Roehm), andRum Runners (writer/director William Nelson). When did you know that you wanted to be in film? So you grew up in rodeo? Let us ask you about your stunts first. Your first stunt movie was The Young Riders? Of all your stunts, what was your favorite stunt? Tell us about your bull riding. Did you ever get hurt? Did you ever worry about getting seriously hurt? You’ve done about 30 films including the movie Cake: A Wedding Story. Do you like horror or do you prefer comedy or cowboy movies? Yes, absolutely! We do want to ask you about one film that you did stunts in – The Crow. And then you did The Postman? That must have been wonderful! Now you’re getting ready to do the stunts in A Turn in the Sun. We want to hear about Luck Films. How did that start? How did you meet Willie Nelson? So you started Luck Films. What’s the future plan? A Turn in the Sun was made by Luck Films and K7T? It sounds awesome! Tell us the about the film Of God and Kings. You played Mario? Does that happen a lot in film? Tell us more about Luck Films. Tell us about the film Junction. We have not heard of that! You also have Hot Bath an’ a Stiff Drink 2 coming? “Jeffrey Patterson is another good friend of mine that is doing western movies. He has three in the can right now. He did that western Hot Bath an a Stiff Drink 1, and then I came down and started part two with it. It has Alison Eastwood in it, Frankie Muniz, Robert Patrick, really good actors in it, and it turned out really good. Jeffrey’s been doing that quite a bit. He has, I think two that he’s going to do this year. I’d say he’s doing a little bit higher budgets, and then I’m doing the lower budgets, but we’re doing the same type of movies. Tell us about Rum Runners. “This is going to be our baby. It’s about a man who gets tired of society and moves to the mountains. There are some Indians on the other side of the hill who don’t want much to do with him, so my character pretty much sticks to himself, but every once in a while he’ll have to go to town to get a few supplies. “Oh man! Do you know how hard it is nowadays to get investors for independent films? It’s crazy! If you need money and you ask about investors then it gets spread all over that you’re a piece of crap. That’s hard to deal with! Finally we have some people who are getting behind this and we’re getting to go do these low budget movies. And we’re getting to travel and do them in different places. Are you happy with the movies you made so far? What is the most complex part of making a film? “I think Willie gave me a couple lines the other day. I was feeling weird and I told him to give me some advice. One he said was, “Delete, and fast forward.” A lot of times you just have so much on your mind and different things that all you can do is delete it and fast forward. That made sense, so I’m putting it on my cards. That’s great! Is there anything you want people to know about you or Luck Films? “A couple years ago we invested in some stuff and then we had a guy rip us all off. Afterward, we were painted to look like the bad guys. I want to see everybody succeed, I don’t want to see anyone ripped off. But no one stops to think that I get ripped off as bad as anybody. I just want everybody to know, make sure what you’re doing and always make it right. Even if it takes 5 or 10 years, make it right. For more information about Kerry Wallum and Luck Films, go to www.luckfilms.com.